“I always knew about the war since my young age… I was at school and the Vietnam War was already happening… it started around 1961-2. So I had another 4 years of schooling and the war was just around the regionfrom Hong Kong. There was the need to stop the communist from spreading into the Southeast Asia. As a young man, I joined the navy Service at 17 years old, maybe for the adventure, the excitement… and of course because of my family history in the Military… but you don’t know the horror of the war until you get there… the adventure turned into tragedy very quickly”. Ian gave his life to the Lord three months before going to Vietnam… “I knew I was protected… I had Jesus on my shoulder and that got me through the war, got me through losing fellow sailors, friends who never came home to their families, got me through PTSD… I thank the Lord everyday because I am here and could retire. I wish I could have saved more people… now I am a trained firefighter. He is also getting involved with Home For Heroes through C3 church in Sydney. This is an organization dedicated to assist war veterans with a place to live. Ian has this image of a sailor and Jesus framed in his study where he keeps it with great pride and devotion. ““My father was an Australian but living in Hong Kong at the time I was born. He was flying with Cathay Airways before this he served in World War Two flying bombers. His aircraft got shot down in the New Guinea jungle and he was the only survivor of a crew of five men. He flew in another four missions to before the end of the War. The left side of the jacket is dedicated to hold different medals from each campaigns or missions. Ian has five of them. The right hand side of the jacket is dedicated to honor and hold the medals owned by someone who has passed away such as a father or grandfather. Ian’s father had six medals which he worn with great proud during the Vietnam’s march in this year’s ANZAC Day celebrations. “During the war you just have to suppress your feelings and emotions so you don’t put yourself or others in danger… you risk your life and others if you stop and cry or get emotional, there is no time for that. The training I received helped me with that, to be able to see men drowning, dying and screaming in front of me but my training kept me doing what was needed… you don’t freeze, just do it. I saw so many horrific things… friends, enemy, civilians being killed right next to me… you go away from the war back into society where people complaint because it is raining… it is too much of change and people do not adapt’. He continues, “it is reflecting right now, the guys just want to be away from it all… marriages split up, because the family don’t understand them… one day you are seeing all these horrific things and people being killed in front of you to be back at home with kids running around asking things… it is just to much of a change in realities”. After the Vietnam War many veterans were discriminated. 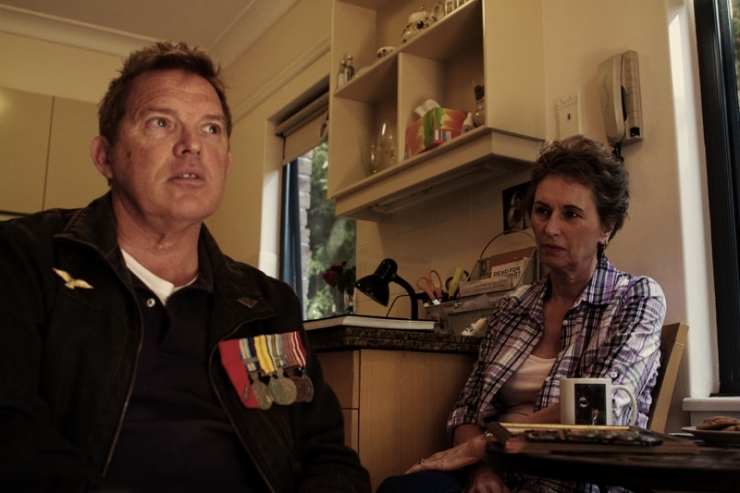 “I remember back then when the ship came back from war and entered Sydney harbour… back then you had to wear your uniform, veterans were sworn at discriminated, even my the taxi driver would not pick me up because people were against the Vietnam war. People could not join clubs or being in society… It was the first time the war was brought inside people’s homes… there was a battle in the morning and at the night was on the TV News, people were watching it. It was the first televised war and everyone was against it. Everyone hated everything related to Vietnam.” It took 25 years after the War for the Vietnam veterans to be recognized in the marches. “With Post Traumatic Stress Disorder (PTSD) you want to isolate yourself, because people don’t understand what you went through… even after 46 years later I am still going for mental help… how to cope with everything, with normal life and memories… I can just hold it together… if I go into details I will on the floor crying… it s a tragic war, I feel privileged I went through it all… I would do it gain if I had to… My only regret is that I could not save all those brave 74 young men during the Vietnam War who were my age, who drowned and got killed, left families behind when the ship went down… on the other hand 180 were saved… I was personally involved in the rescue of at least 10 men helping them coming out of the water”. “ My family was still in HK when I came back to Australia from the war in Vietnam. I lived on the ship… support was from Jesus and from the Navy. The navy family were my parents… my family. Government had no programs back then, no support… the Government was unaware of the problems and the sufferings. Probably until the early 80’s when suicide rates of Vietnam veterans went through the roof when they realized there was an issue to be addressed. I know two friends who committed suicide… some people still doing it tough with alcohol… Depression, anxiety, PTSD wasn’t spoken in that time, if you discussed it, you were considered weak… The term used to describe any mental distress back then was “shell shock” and PTSD was an unknown mental health condition. During the First World War, you were considered a coward if you open up, they could even shoot you… execute”, says Ian. “You didn’t talk about it back then… you don’t talk about even nowadays… you go to reunions and you don’t talk about it. It is a pride thing… So the Government put their hand up in the early 1980’sand realized they need to help these veterans. 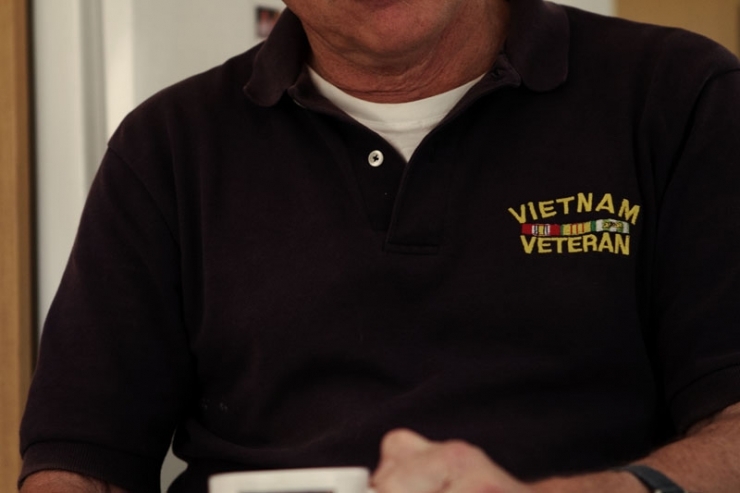 The Department of Veterans Affairs (DVA) always existed, so they formed a new sub department of the DVA called Vietnam Veterans Counseling Services (VVCS). In the early 1990’s I put my hand up for help at no cost to me… still do to this date… Later on, they changed the name to assist all Veterans and families with counseling and not only restrict it to Vietnam’s veterans. Now support also comes from Loida his wife. They have been married for one year and she plays a fundamental part in Ian’s life. Recently, Ian served in Afghanistan for two years alongside with other 28 nations in an International Security and Humanitarian mission under the NATO banner. 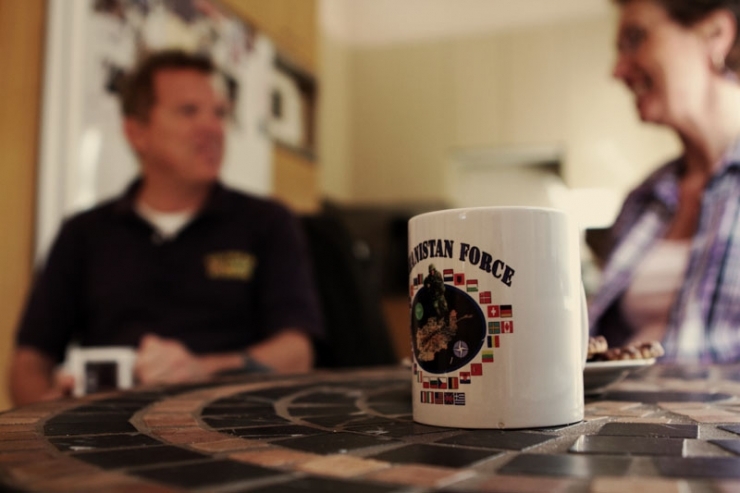 This mission was dedicated to resettle 2.2 million Afghan refugees who had fled their homes after the Taliban invasion. Ian’s mission went for two years with a 3 week break in between back home in Australia. “I am very proud of my career in the Navy. The name Callaghan is very strong in the military history; it has a legacy that I am glad I gave continuity. I would have done it all again if I had to. I was especially proud to be the flag bearer for the Vietnam’s Veterans march this year during the ANZAC celebrations in Sydney. Even a few American friends from the war days flew over to Australia for this event”. Ian was deployed twice to Vietnam always working alongside American navy crews in collaboration to the allies. Today, he has just graduated as a firefighter. He feels he still needs to help people – to save people. Maybe because he saw 74 men drowning right next to him and could not do anything… today, he wants to save more men. He is a very skilled person with tones of energy. There is a bright future ahead. We are in good hands.